TL;DR: I’m leading a new project called MoodleNet that is currently described as “a new open social media platform for educators, focussed on professional development and open content”. I don’t know about you, but I like getting involved with projects on the ‘ground floor’, so to speak. Figuring things out excites me, as does taking a bunch of possibilities and figuring out a way forward. It’s with this in mind that I’d like to invite you to get involved with a new project I’m leading: MoodleNet. It’s really early days and, in fact, we’re still figuring out what MoodleNet actually is. Suffice to say that Martin Dougiamas, Founder and CEO of Moodle, sold me on it enough that I’ve agreed to spend four days per week on it from January 2018. One way he’s described it is as, “a new open social media platform for educators, focussed on professional development and open content”. Sounds good to me! If you’ve been involved in any of the work I’ve helped establish before, such as Open Badges or the Web Literacy Map, then I want you to know that you’re very welcome as part of this new project I’m leading. So are those who are entirely new to this way of working! 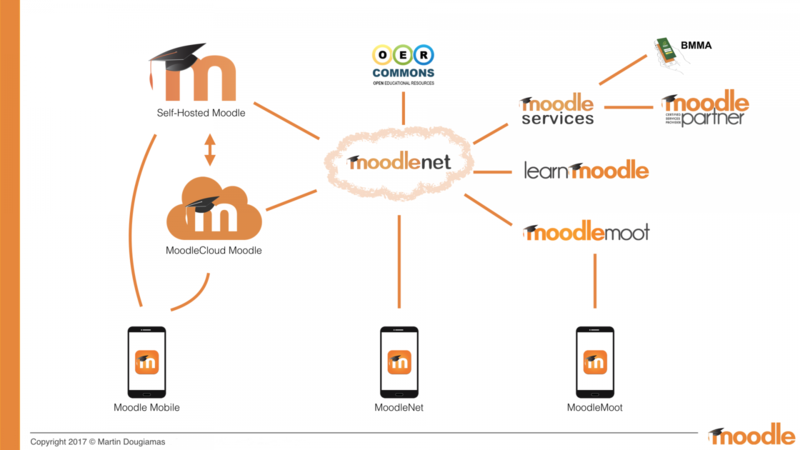 As you’d expect, we’ll be working entirely in the open, making progress with a combination of community input, business priorities, and decisions taken by Moodle HQ. Job one is to write a white paper that helps tell the story of what MoodleNet could be. I loved the approach Erin Knight took with the original Open Badges for Lifelong Learning working paper, where she explained how badges could help in various scenarios. I need help in defining those scenarios for MoodleNet . No matter whether you’ve got ten minutes, ten hours, or ten days to contribute to the MoodleNet project, your time and experience is valued. I’d love it if you could check out the work so far, introduce yourself in the MoodleNet forums, and perhaps help out with white paper. Thank you in advance! Some people may wonder what taking on this new role as MoodleNet Lead means for my consultancy business, Dynamic Skillset — and for the co-operative I co-founded, We Are Open. This opportunity to lead an open-source project that could help so many educators and learners was too good to pass up! I’ve really enjoyed full-time consultancy with a range of clients, but it’s time to get my teeth into something longer-term. Given that I’ll be working four days per week with Moodle, I still have scope for additional consultancy and working through the co-op. Feel free to get in touch as usual! It’s just that now my time will just be even more precious than usual, and I’ll have to lean on my co-op colleagues to a greater degree.